You are here: Home > MCSD News & Alerts > MCSD News & Alerts > CMS News > Punt, Pass, and Kick – October 9th! Name: Punt, Pass, and Kick – October 9th! Description: Here’s your chance to show off your football skills! 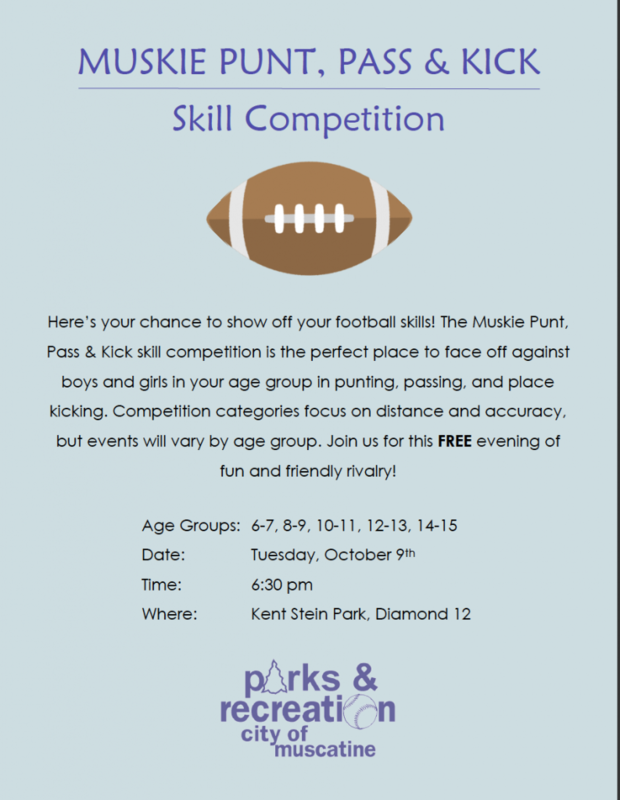 The Muskie Punt, Pass & Kick skill competition is the perfect place to face off against boys and girls in your age group in punting, passing, and place kicking. Competition categories focus on distance and accuracy, but events will vary by age group. Join us for this FREE evening of fun and friendly rivalry! Pre-registration is required.